Rich lathering shaving cream enriched with willow bark, borage oil and sweet almond oil. Aqua (Water), Myristic Acid, Potassium Hydroxide, Coconut Acid, Glycerin, Triethanolamine, Olea Europaea (Olive) Fruit Oil, Prunus Amygdalus Dulcis (Sweet Almond) Oil, Borago Officinalis Seed Oil, Limnanthes Alba (Meadowfoam) Seed Oil, Salix Nigra (Willow) Bark Extract, Parfum (Fragrance), Tetrasodium EDTA, Sodium Hydroxide, Linalool, Limonene, Phenethyl Alcohol, Caprylyl Glycol. This is an excellent cream. As far as value for money is concerned it easily gets maximum stars, but overall it is just shy of my favourite cream which I would always give 5 stars. For me it drops a star only because the scent is not quite as rich as the 1805 which I absolutely love. Otherwise it is a top quality cream, with excellent lathering properties and a close pleasant shave. Skin is not too dry afterwards and for the price it would be foolish not to have a tub of this in your rotation. 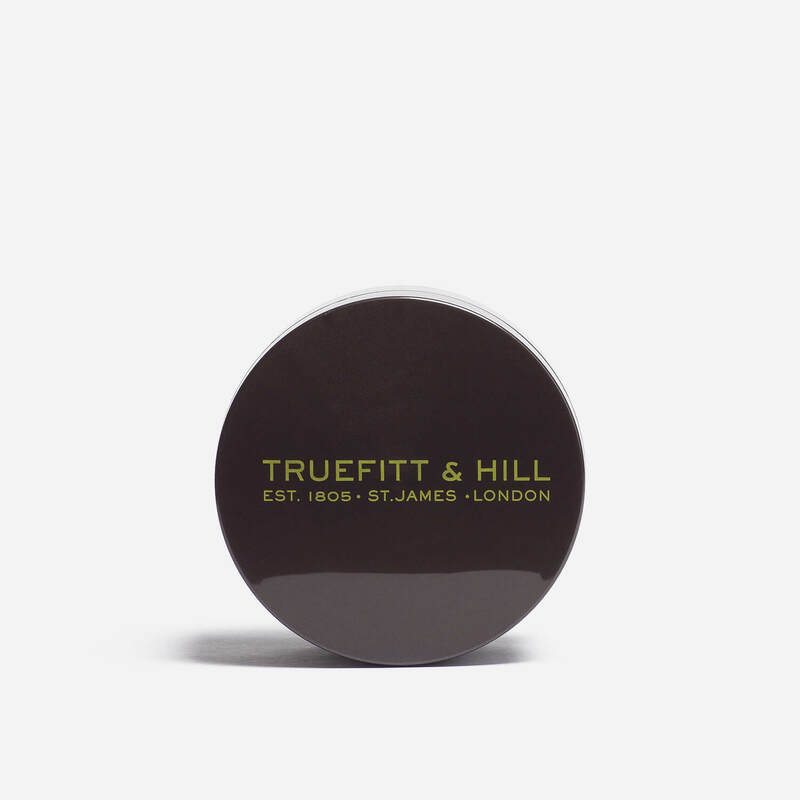 Truefitt and Hill are a class outfit and for them to offer this cream at this price point illustrates that. I would always recommend buying through this website, I have used them for many years and never had a problem. The BEST shave cream I’ve found; invigourating fragrance, creamy lather and great value for money. I’m about half way through my tub now and it’s great! It’s the best performing cream I have. The smell is pleasant, a bit nondescript and not as nice as TOBS etc, but produces a rich lather with ease and gives a really comfortable shave. Not sure that you could buy better for a tenner, or even a bit more for that matter. Very rich lather and very easy to use too much. As this is mid price range definitely better value than the dearer creams. You would ask the question why spend the extra. Bought this for my boyfriend on a recommendation from my boss. My boyfriend loves it – He said it’s the best shaving cream he has ever used! Don’t be put off by the price as you only need to use a small amount so this tub will last for ages. Go on try it! Top quality product at very reasonable price. Great slickness and post shave feel. Lovely product and great value. Silky and fine shave cream. Luxuriuos lime scent, not strong, but evenly pleasant through all shaving routine. Nice lather and shaving smoothness. Lovely classic fragrance, great lather and yet another fantastic product as can only be expected from T&H. Shame they don’t offer this fragrance in cologne. Not a good lather, unlike Proraso. Maybe my technique is wrong, but with my new best badger brush and a bowl I put a few dollops in the bowl and fail to get a good strong lather. Seems a bit ‘weak’. Excellent, highly emollient shave cream, best with a brush. Great value, too. Ordered this on a whim and was totally blown away after the first shave. I was expecting inferior quality to the higher priced T&H creams but honestly you can’t tell the difference in terms of lather and cushioning. A lovely soft cream that whips up a storm and I can whole heartedly recommend you give this a whirl.